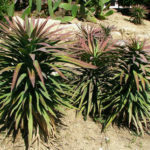 Yucca desmetiana is a soft leaved Yucca with usually a single stem rosette when young and become multi stemmed with age. 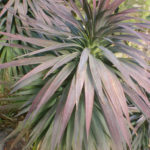 The leaves are sword-shaped, arching, bluish-grey when young, turning burgundy as they mature (especially in winter), up to 16 inches (40 cm) long and up to 0.8 inch (2 cm) wide. 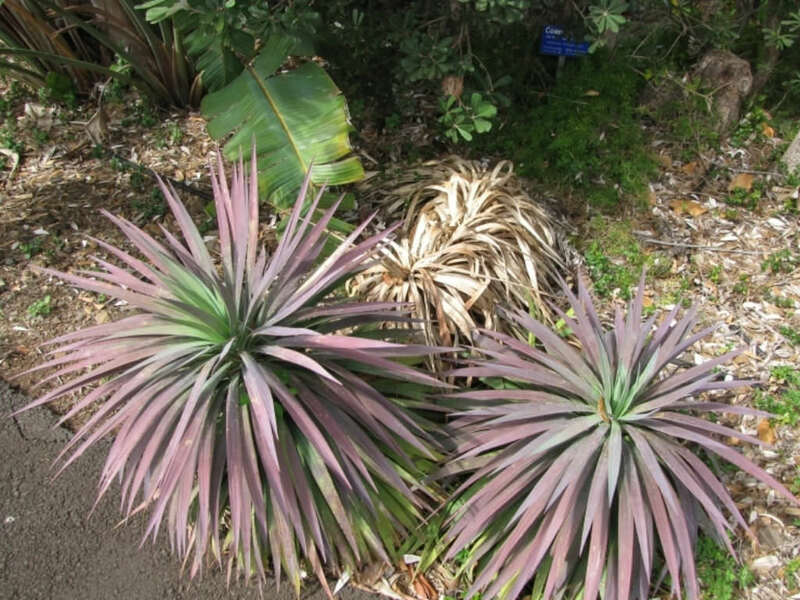 The plant is cultivated as an ornamental in many places because of its colored foliage. USDA hardiness zones 9a to 11b: from 20 °F (−6.7 °C) to 40 °F (+4.4 °C). 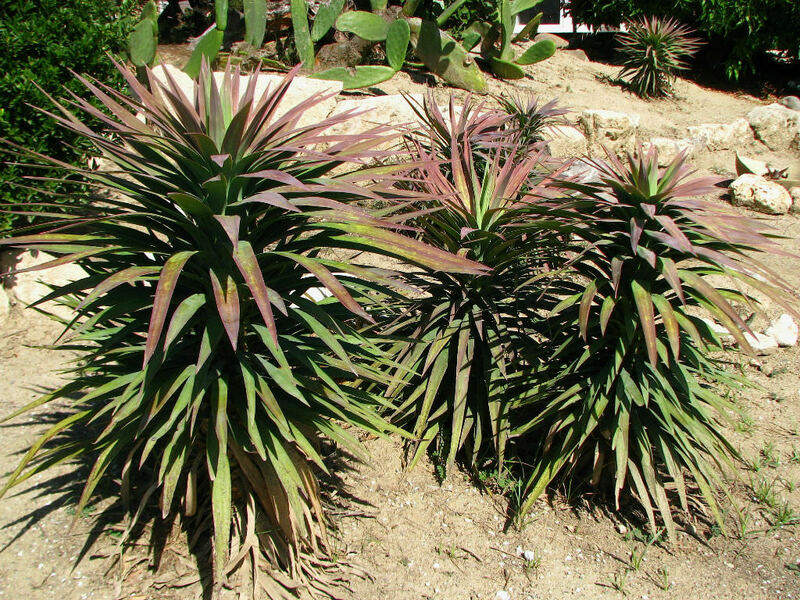 Under the right conditions, Yuccas are not difficult plants to grow. They tend to thrive on a little neglect, rather than too much attention. They are especially easy to overwater, and soggy stems are a sign of too much water. 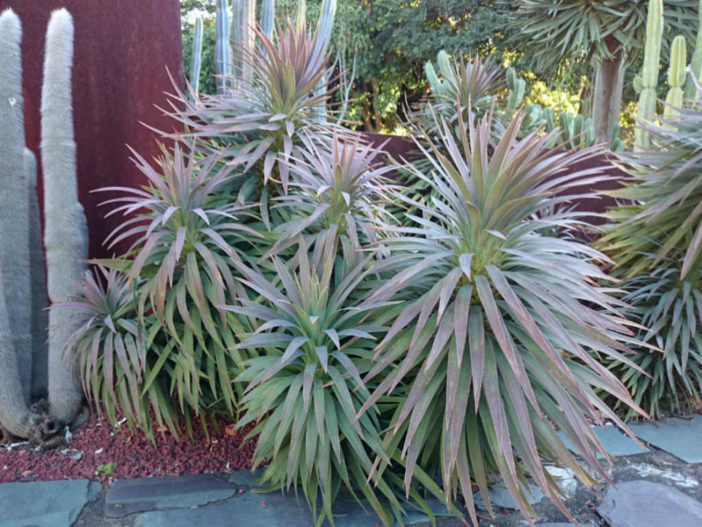 The best conditions for Yuccas include a sunny corner with relatively low humidity. They are not prone to many pests, although scale can be an issue. Over time, plants will typically lose their lower leaves (in nature, they droop, forming a skirt around the trunk), giving the plant a pleasant “tree-like” appearance. 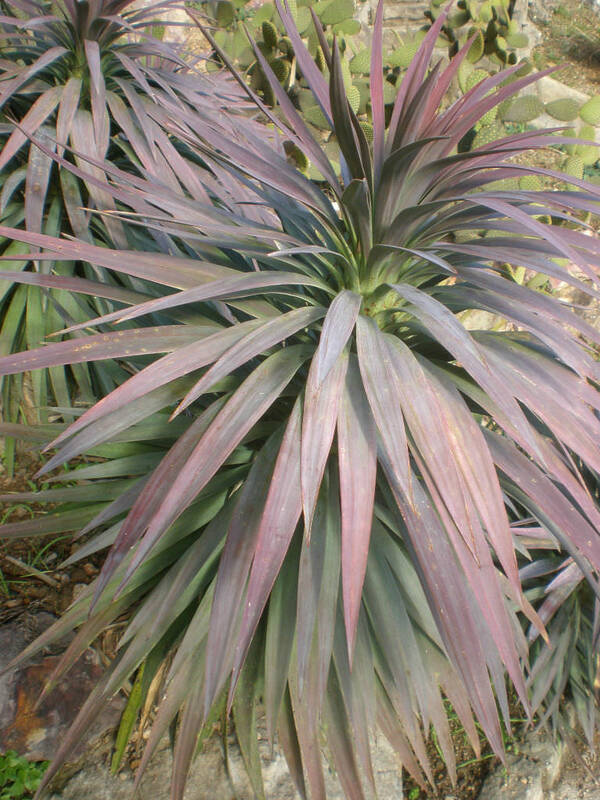 Yucca desmetiana is native to northern Mexico from Chihuahua south as far as Aguascalientes and east to San Luís Potosí and Tamaulipas. 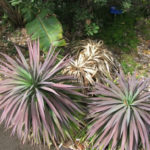 This plant is known only from cultivation and might be a hybrid between Yucca aloifolia and Yucca recurvifolia or Yucca filamentosa.